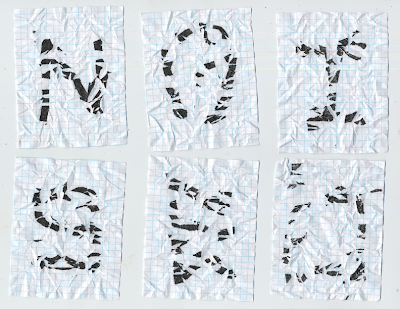 Here I began with folding grid paper along the grid, and then crumpling the folded paper. 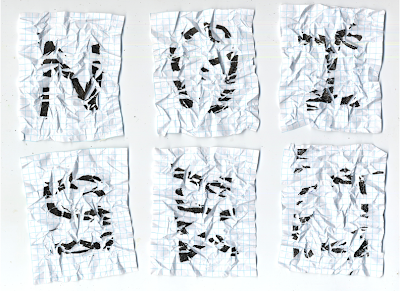 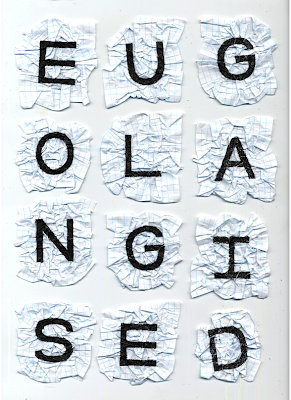 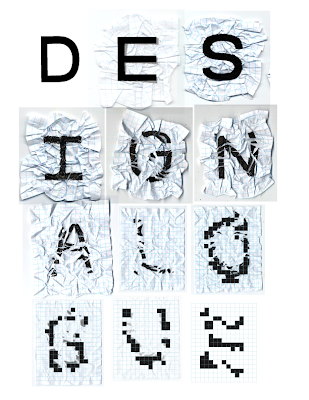 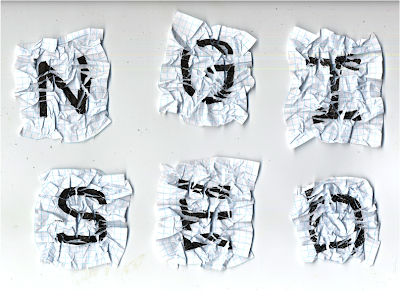 I then drew out a grid-based typeface that I created onto each crumpled piece, only marking on the parts that were visible. 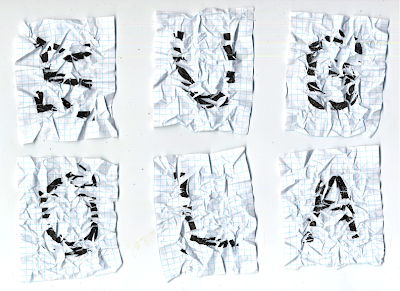 As I scanned each piece in, I began un-crumpling them, so as you move down to the bottom of the post, the gridded letterform is broken apart and destroyed. 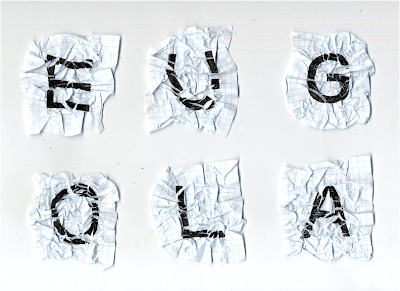 Here, I took the destroyed grid-based letters, and rebuilt them digitally into the exact same grid, but they have now taken on completely new forms. 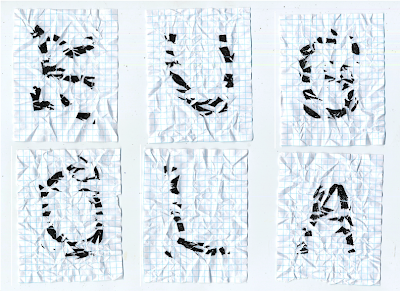 I think it's really interesting how the letterforms can be totally trashed, but still are able to resemble their original shapes. 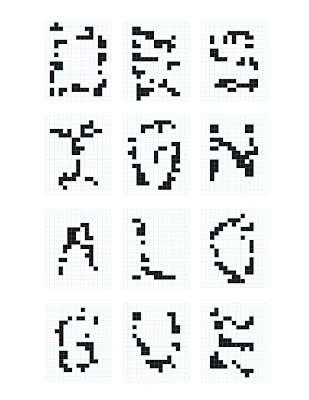 I'm having fun forming new faces from the original gridded letters, and I like how my final letters are still grid-based, but they don't at all look like they are.